Welcome to Rabbit Creek Bed and Breakfast in Versailles, Kentucky! Spend your honeymoon or next vacation immersed in horesman's country! The Rabbit Creek Bed and Breakfast is 10,000 square feet of luxury nestled in the middle of Kentucky's scenic Bluegrass region. Located just 20 miles from Lexington, we provide easy and accessible lodging and accommodations for wherever your adventures in Woodford County take you! We are only a five minutes drive from beautiful little downtown Versailles, where you can walk and enjoy the antique shops and eat a wonderful meal. With easy parking in our little town, there is nowhere you cannot walk to. Come stay in the lovely peace and quiet of the country atmosphere at Rabbit Creek, and be back in town in just a hop, skip and jump for the more active person. 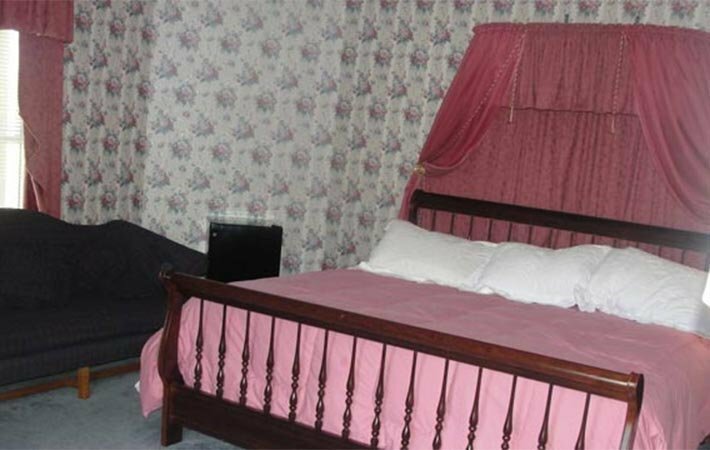 Being able to check out the tobacco and drive back to town whenever the need arises accomplishes both diversions of a bed and breakfast Inn like ours. Seven spacious bedrooms, each with private bath, provide an extraordinary place to stay, relax and enjoy Kentucky's natural beauty. To enhance your visit, stay in one of the four rooms which have private balconies. If you're honeymooning, our spacious Bridal Suite is furnished with a solid wood canopy bed big enough for four! 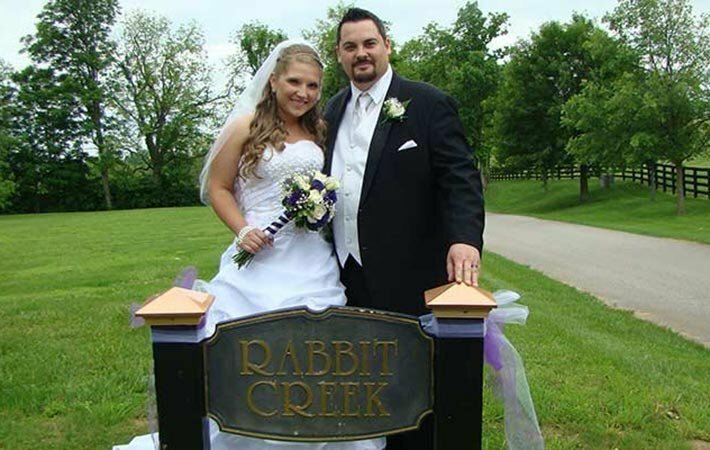 Rabbit Creek B&B is a member of the Bed & Breakfast Association of Kentucky. At Rabbit Creek Inn Bed and Breakfast, we want your stay to be as enjoyable and restful as possible. 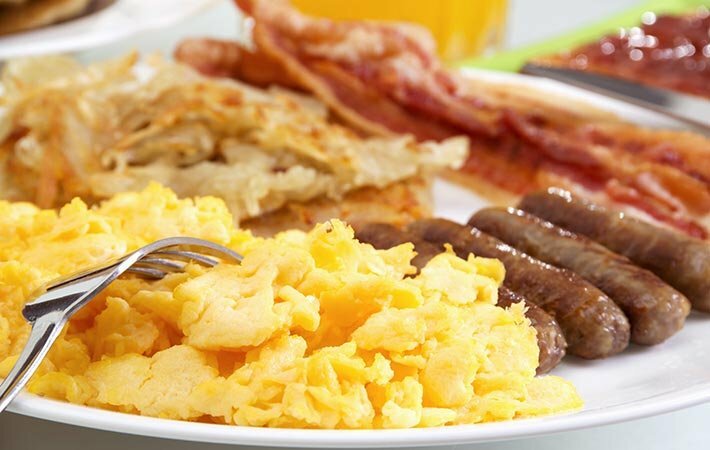 In the mornings partake of our free, hearty, all-you-can-eat country breakfast. The menu changes daily, but you can expect such scrumptious items as waffles, French toast, crepes, omelets, pancakes, bacon, eggs, sausage, biscuits, gravy and other surprises. Whether you dream of a picturesque, outdoor wedding, or an intimate, indoor ceremony, Rabbit Creek B&B is well-equipped to accommodate groups up to 125 people. Let us help you plan your special day with our experienced, on-site wedding coordinator. You'll find our country setting ideal for your fairytale wedding.